Here's our pick of the best Sniper Rifles in the game. Our Fortnite: Battle Royale guide to the best Sniper Rifles in the game covers the Bolt-Action, Hunting Rifle and Semi-Automatic. Every type of weapon has its own particular strengths, and the Sniper Rifle excels at dropping opponents at a distance. The ability to zoom in with a scope and rattle off bullets isn’t exclusive to this class of weaponry (Assault Rifles are capable of doing this too) but Snipers distinguish themselves from the competition by providing unrivalled accuracy and incredibly powerful single shots. They’re a must-have weapon for damaging targets at a distance, in other words. 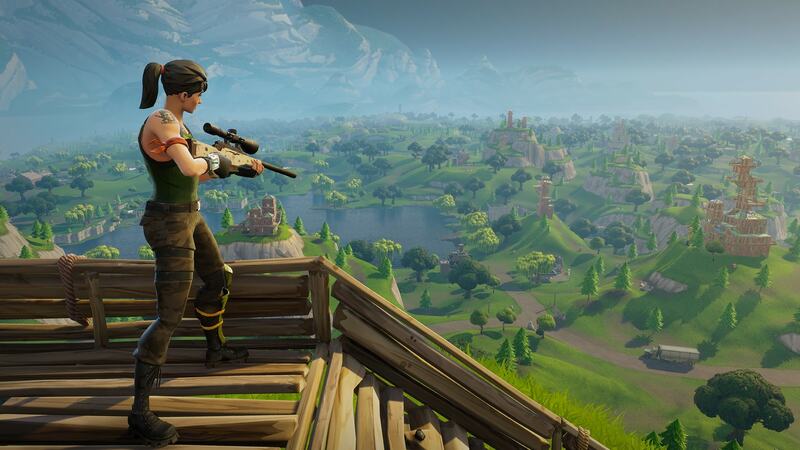 Sniper Rifles aren’t that easy to come by in Fortnite: Battle Royale, which means you’ll have to strip them from dropped enemies or get lucky from a loot crate. It’s worth putting some serious effort into getting hold of one though, as they can significantly increase your chances of survival in the latter stages of the game. Currently there are three different types of Sniper Rifle, but they all share some key traits: lengthy reload times, low rates of fire and extremely high damage. Missing a shot could spell disaster if the enemy manages to capitalise on your mistake, but hit them square on the head and you could bag an insta-kill. Just below we’ve ranked all the main Sniper Rifles in the game from best to worst, with strengths and weakness outlined for each weapon too. It’s worth noting that this is by no means a definitive list. Every Sniper Rifle highlighted here has a situational strength and we understand that you’ve got to work with what you’re given in each match! Still, if you happen to have the luxury of choice it's nice to know what you should prioritise. The Semi-Automatic’s main strength is its ability to fire multiple shots in the magazine without any significant downtime. This makes it great for laying down continuous pressure on fleeing opponents, or for easily adjusting your shot without having to scope back in constantly. Unfortunately, its strength is also its biggest weakness. To take advantage of this weapon, you need to stay zoomed in and land at least a couple of shots to bring someone down. In the vast majority of situations, you’re putting yourself at risk by standing out in the open - especially if the enemy clocks your position and returns the favour while you’re stood still. Despite its decent damage capabilities, you’ll want something with a bit more punch. Modelled on the Kar98K, this is the only Sniper Rifle that doesn’t have a scope. It’s bolt-action too, which means that it’ll fire off one shot before you’re forced to reload another round into the chamber. As it doesn’t have a scope, it’s not great for long range engagements. Wield this weapon in short to medium range fights though and it’s a different story. If you’re accurate enough, you'll be able to duck into cover between pot-shots and land devastating hits before following up with another weapon. It’ll take some practice to get used to, but the Hunting Rifle is an exceptionally strong pick for those confident enough to wield it. Take a look at our Hunting Rifle guide for more info on this weapon. Without a doubt the best Sniper in the game, the Bolt-Action has the highest damage rating and incredible accuracy at long range. It’s everything you could want from a Sniper really. It delivers immensely powerful hits with each bullet and has a powerful scope that allows you to zoom in nicely on far away targets. Sure it’s fire rate is slow, but it promotes patience and accuracy. Land your shots and there’s simply no competition. Just don’t go taking this into a close-quarters battle! We've picked out the best Assault Rifles and Shotguns in Fortnite: Battle Royale, so make sure you check out these pages too!